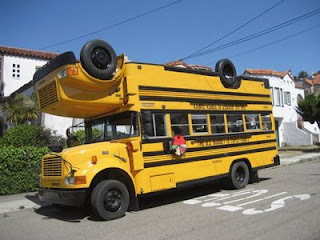 An upside down school bus? But what for? I suppose if it flips oyu can just keep on driving. Does that mean that there are seats coming out of the roof too?